Mr Arunachalam Muruganantham, who was chosen as one of the 100 most influential people by Time Magazine shared his work on July 16th 2015 at Simon Fraser University’s Goldcorp Centre for the Arts. 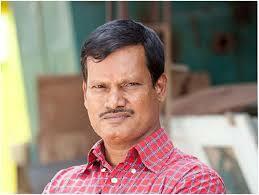 Arunachalam represents a unique breed of social activists and innovators, who are finding solutions to basic problems and thus making a big difference in the lives of people all over the world. Jayashree Industries under his leadership designed, created, tested and implemented a sanitary napkin machine that operates on a small scale. To make sure that initial capital requirements are small and a model, which allows production closer to consumers, the model allows smaller players to the business model. This has empowered a many groups in India and other developing countries in the world. This model helps to offer livelihood, hygiene, dignity and empowerment to underprivileged women all over the world. Canada India Network Society is very pleased to be part of this program and looks forward to be working with Indian Summer Festival 2015 to make it possible.